We are a complete facility for orthopedic rehabilitation, physical therapy, aquatic therapy and chiropractic care. We have the experience and technology to treat neck, back and joint pain. We also offer Therapeutic Massage and Wellness programs, including for patients after total joint replacement and discectomy. Treatment for work, auto and sports injuries is always available, and most insurance is accepted. Emergency patients are seen immediately. Comprehensive Spine & Sports Center. "The physical therapy is great. EVERYONE has been so helpful. Any questions asked are answered until you totally understand. You need to do the exercises correctly are they won't work. Dr Cohen has been a great help - he answers any questions and guides you to improve you problem!" "This is my first experience at the center as well as with physical therapy. Dr. Cohen was very knowledgeable and thorough. He answered all my questions and explained my condition. The staff is energetic, well versed in treatment, and readily available. The center is clean and welcoming." "I was given a plan of therapy to treat my shoulder from rotator surgery, taught how to do the exercises the right way and the equipment. The staff is great, well trained. This is my second time using their rehabilitation service, that one was for my knee." "Dr. Cohen and his staff genuinely care about their patients. Dr. Cohen's calm, positive demeanor is very therapeutic. He has in depth knowledge and is very experienced in this field. His staff constantly motivates you and someone was always available to assist me when needed. 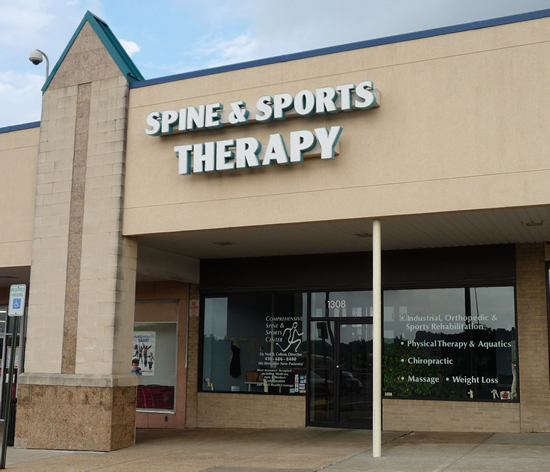 I will highly recommend their office to anyone in need of physical therapy." "I have been a patient for approximately 2 years. Dr. Cohen is fantastic; very knowledgeable and very caring. The staff is also very caring and concerned. They are genuinely interested in their patient's well being, and healing process...My physical pain has been reduced dramatically. The atmosphere is pleasant and relaxing..."
"The entire staff is friendly and go above and beyond. Dr. Cohen has helped manage my neck and back pain more than any doctor or pain management ever has. I highly recommend seeing him before engaging in any pain management program. He and his staff treat me with dignity and respect and take me and my pain seriously." "I have been dealing with Neil Cohen and his staff for many years and each and every experience has been the same. You are treated with respect and courtesy. Neil and his staff are the best at what they do and they have always resolved whatever issues that I have had." "Have been going to Comprehensive Spine/Sports on and off for 2 years because of various surgeries such as hip, cardio and spine pain management. No other therapy location could do as well and am approaching total relief of pain. Their large heated pool does wonders for aches and pains and allows for easy exercising." "I was very pleased with the service that I received from the evaluation from Dr Cohen who explained why I was experiencing the problems and the went over a treatment plan. The staff was very responsive and knowledgeable and making appointments were very accommodating with my schedule." "It had been a while since I had been to center. Everyone treated like it was just yesterday since my visit. They allmade me feel welcomed and I received the same professional treatment both personal and therapy. That is why I came back and like it at the Center." The prevention, diagnosis and treatment of patients with limitation of function resulting from any disease or injury. A pain-free, procedure that uses clinically proven principles to relieve back and leg pain, neck and arm pain. Systematized manipulation of soft tissues including applying fixed or movable pressure, holding, or causing movement to the body. A health care profession whose purpose is to diagnose and treat mechanical disorders of the musculoskeletal system and in particular the spine. Therapy performed in water to assist in patient healing and exercise performance useful for a variety of conditions & injuries. The provision of services to help people to develop, maintain and restore maximum body movement and functional ability.